With all the hustle and bustle of bringing your baby home, you may have forgotten to take care of that other important person...you! Now more than ever, you need to remember to nurture yourself, so you can better nurture your baby. They say, "When a baby is born, so is a mother (and father)." You already know that having a baby is one of the most rewarding events of your life — it is also one of the most challenging. First of all, you're going to feel a bit worn out. And no wonder — you just gave birth! Even under the best circumstances, labor is mentally and physically exhausting. If you lost a lot of blood, became dehydrated during labor, or are anemic after childbirth, it may take you a few extra days or weeks before you start feeling like yourself again. This is no time to be heroic: Accept offers of help when you need to! That might include a friend who offers to do the laundry, your mother-in-law who brings in a few prepared meals or your partner who offers to look after your baby while you have a nap. If no one offers to pitch in during the early days, or if you live far from family, consider hiring a housekeeper for a period of time. You might also consider a postpartum doula. A certified postpartum doula offers expertise and support, both physical and emotional, and can help with newborn care and your family’s adjustment. If hiring someone is not an option, simplify and cut down on chores. For example, instead of cooking a meal each night, simply cook extra to have again another night. Your muscles are likely to be tense from lifting, carrying, feeding, rocking and soothing your baby during all hours of the day (and night!). Now's the time to ask your partner to give you a massage. You probably already know the benefits of baby massage,but now more than ever, you need the pampering, soothing effects that massage offers for you. Your partner can help relax your muscles with firm strokes along your shoulders, arms, lower back, thighs and calves. Remember to use a gentle lotion or oil to help make the massage more comfortable. Dehydration can really wear you down, without you even realizing it. 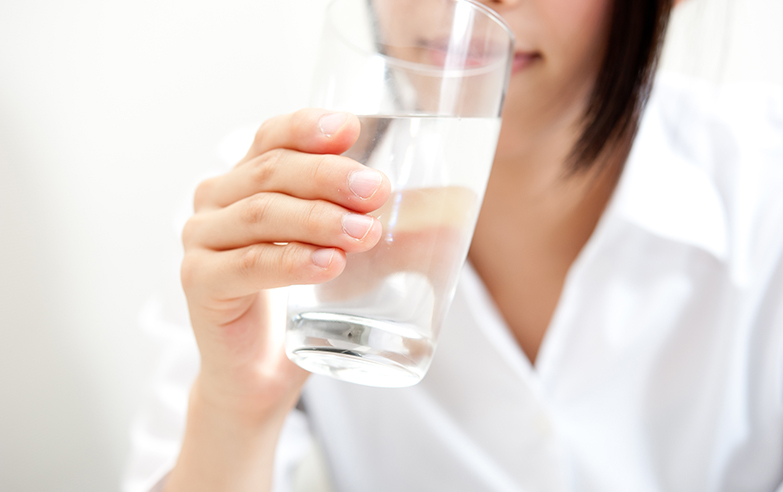 If you're breastfeeding, you run an even greater risk of becoming dehydrated, so remember to drink plenty of fluids. You may also wish to omit caffeinated beverages and foods if you suspect that your baby is reacting to it. The best thirst quencher is water, so drink lots of it — about 6 to 8 glasses a day. An easy way to remember is to drink a glass of water whenever you sit down to feed your baby. Avoid heavy foods that can weigh you down (burgers or pizza, for example). Instead, eat lighter foods, including moisture-rich foods like fruits and vegetables, with a little pasta. Don't forget that your skin needs moisture too. To help replenish your skin's moisture, and to take a much needed moment for yourself, take a shower or bath. In addition to helping hydrate your skin, a shower or bath will help to relax your sore muscles. Be sure to use a gentle, moisturizing cleanser. If you've had a caesarean section, talk to your healthcare provider about exact instructions for bathing and showering. Remember to apply a moisturizer to your damp skin after your shower to help seal in moisture. And be sure to step out of the shower before using products that may be slippery. Remember, you need sleep too! Resist treating your baby's naptime as your chore time — take a nap when your baby does. Try to wind down when your baby sleeps. Avoid all caffeinated beverages after lunch. Make your bedroom as quiet and comfortable as possible. You will sleep better if your bedroom is cool and dark. Listen to music, ask your partner to give you a massage, or if your healthcare provider says it's ok, take a bath to help you sleep better. You may not get a full night's sleep anytime soon, but at least you can make the most of any opportunity you do get to sleep, even if it's just a nap. Here’s how to help baby sleep so you, too, can get much-needed rest. Emotional lows are common after giving birth, because your hormone levels are changing. BabyCenter® can help you determine if it’s something more serious.